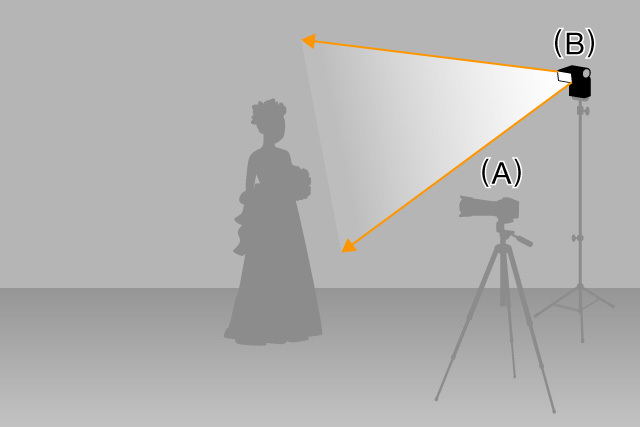 When using the flash mounted on a camera, options for attractive lighting are limited. The on-camera flash is confined to a single light source close to the lens and the illumination is usually harsh with strong shadows. An off-camera flash increases your creative control and greatly enhances images by allowing you to move the flash away from the camera. This lets you shoot from different angles as well as the lighting angles of your choice - which may be different. Using the Wireless Flash function on your Sony camera allows you to use single or multiple off-camera flashes without needing to connect multiple obtrusive cables and frees up new possibilities for creative lighting. With little effort, you can create images like those taken in a photo studio and add an exciting look to your images. How to setup the wireless flash?